After having housed a temple and then a chapel in Roman times, a fortified tower was built at Saint-Jaume which was to be completely destroyed in the 17th century. A few decades later, the Bastion Shipyard was built here, where Captain Cousteau's famous ship Calypso was kitted out. The shipyard closed in 1985. Destroyed because it had fallen into disuse, the building gave way to a vast area highlighting the famous fortified remains of the curtain wall, beautifully renovated. 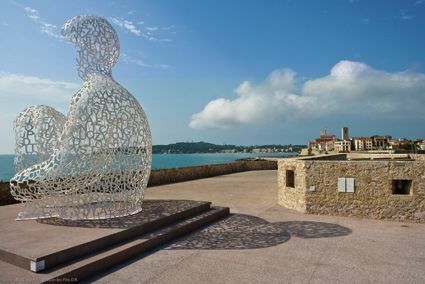 Today, this area features the Nomade sculpture by Catalan artist Jaume Plensa.